What can you say about the English Breakfast, it’s probably been the staple diet of many; builders, drivers, salesman and many others who have stopped at road side cafes and other establishments to have varying degrees of the English Breakfast. What does this substantial meal have that attracts us humans to such a plate full of protein, fat and carbohydrate. Well, it has to be the taste and full feeling as you plow your way through the delights placed before you. Sausage, bacon, black pudding (normally extra), eggs, tomato, beans, mushroom, our US friend Hash Browns (extras) and of course tea and toast with butter, not margarine. If you go out for breakfast occasionally as we do in our house, it has to be the full works and we will try various different establishments each time. However, we are running out of choices now and I am finding myself drawn to one particular venue. Why is this you ask, well I think I am becoming or have become a breakfast snob. As much as I enjoy all of the breakfast establishments with their traditional meals, one has started to look better every time I try a new venue. Why? It’s down to the composition of the meal and the quality of the sausage, bacon and toast, and they offer a decent coffee.. Yes I prefer coffee with my breakfast and my wife insinuates that I am a coffee snob as well. In general I have found the use of Cumberland sausage, high grade black pudding and thick granary toast is a must and adds graciously to the flavors swimming around my taste buds. Where as plan old sausages and weak and feeble black pudding just doesn’t do it for me. As I said I still enjoy, but not as much as the higher grade goodies. 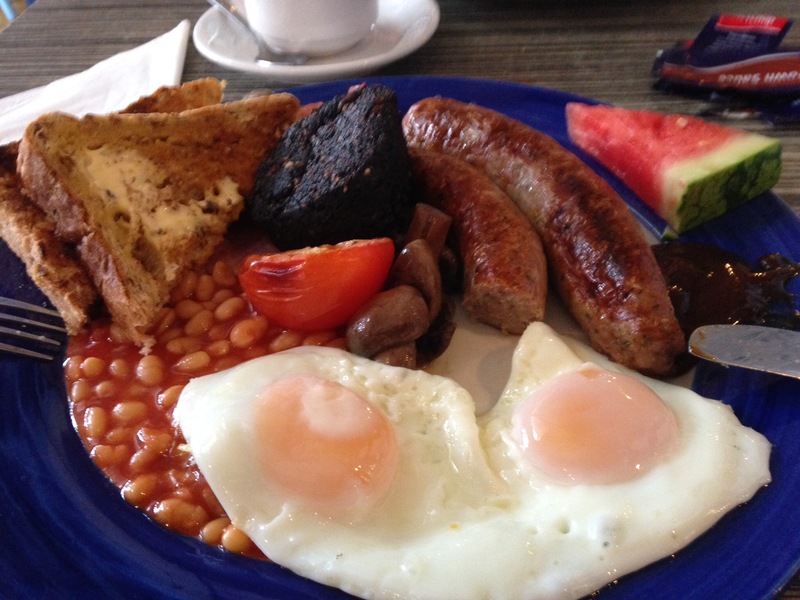 There are a number of nice eateries in our local area for breakfast, I am not going to name, but they are around Gosport and Fareham area, the only way to decide is try them yourself. Health warning: Remember, eating lots of this lovely food can be seen as unhealthy. However, I ride a motorbike and 4 wheel vehicle owners are can be unhealthy for me on a daily basis, so eat it when you can, but don’t over do it and become a burden on the health service……. What do you do on your 29th wedding anniversary?